My excitement about having more time to blog while on vacation obviously hasn’t translated into actual blogging. I should have anticipated this since, as always, Claire in holiday-mode is busier than Claire in work-mode. But it has been a lovely break, if not a restful one. The weather has been perfect, we’ve just had a fabulous party for my parents’ 35th wedding anniversary, and I have been reading like a fiend. So far, unemployment is treating me very well. I have been feeling guilty over the past few weeks for not blogging about the three books in Phillip Rock’s Greville Family Saga but just could not work up the enthusiasm to do so in detail. The books, originally published in the late seventies and early eighties, have recently been reissued and are being marketed on the strength of their similarities to Downton Abbey. 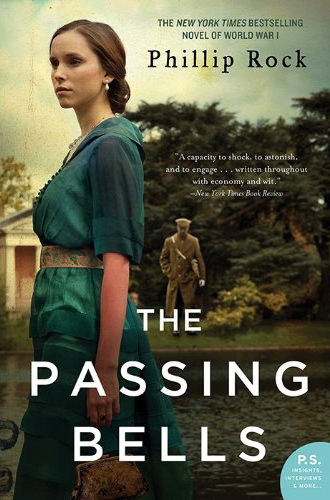 The first book, The Passing Bells, opens in the summer of 1914 and follows the characters through the first half of the war. Circles of Time picks up a few years later, looking at the impact of the war in both England and Germany, and the trilogy concludes in A Future Arrived, which jumps forward to the Second World War. I read The Passing Bells countless times as a teenager and still love it. It is just as soapy as I remembered but it is great fun. The writing is not brilliant and it feels very much of its time but it is an entertaining story and Rock is excellent at incorporating historical events into the story. That is the real issue with the first book: the events and the characters’ experiences are generally better described than the characters themselves. But Rock does manage to fit a lot of different perspectives in to this relatively short book, between the people at home, the frontline nurses, the career soldier who finds himself enraged by the waste of human life, the young romantic who goes mad after his experiences in France, and, most importantly, the young American journalist who records everything in clear-sighted journal entries that are the highlight of this volume. 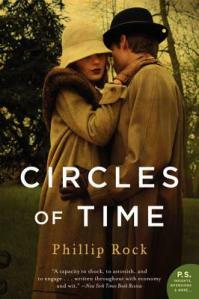 Circles of Time, perhaps because it doesn’t have any big historical events to structure itself around, is a much less eventful book and focuses more the personal lives of the characters from the first book. It is a fine, entertaining story but the structure is a little uneven and I can’t quite put my finger on why that is. The book takes a serious turn in the second half when Martin Rilke, the Greville’s American cousin, now a famous journalist, visits his Rilke cousins in Germany and witnesses firsthand the absurdities of the Weimar Republic (from mad hedonism in Berlin nightclubs to assassinations in the streets) and the beginnings of the Nazi party in Bavaria. 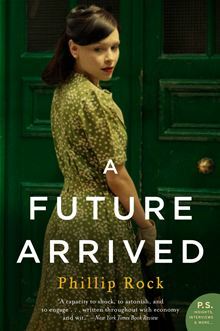 The third book, A Future Arrived, is a mess. Honestly, I wouldn’t even recommend reading it. The structural problems that plagued the first two books completely finish this one off, and the situation is not helped by the introduction of younger characters who are either poorly developed or second-rate copies of their elders. It is a messy, unsatisfying book that lacks the historical detail that redeemed the flaws of the earlier novels. Just read the first two books and forget there is a third one. 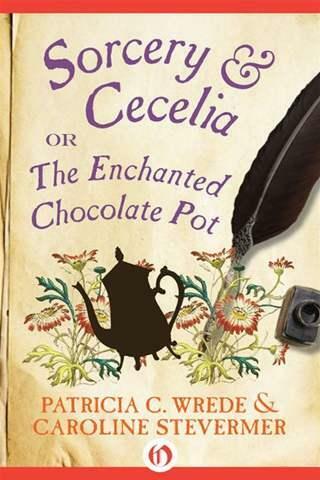 As for other books, I enjoyed Sorcery and Cecelia, or The Enchanted Chocolate Pot by Patricia C. Wrede and Caroline Stevermer but am afraid I don’t have all that much to say about it. It is an epistolary Regency-era fantasy novel – and isn’t that a mouthful? It is the kind of fantasy I like the least – magic has never done it for me – so I think I enjoyed it less than other reader might have but both main characters (Kate and Cecelia) are great and the book is really very fun. There are two more books in the series and I’ve already got one of them loaded on to my Kobo. 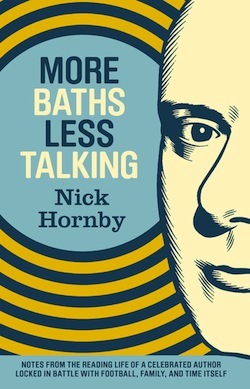 More Baths Less Talking by Nick Hornby, which I read just before Sorcery and Cecelia, is a collection of Hornby’s monthly columns for the Believer about his reading choices and I got some great reading recommendations from it. I love Hornby’s picks – he mentions many books I have already read or which are already on my TBR list – but, ultimately, he is still Hornby and I still just don’t like him all that much. I don’t dislike him, but I have very little in common with him and don’t find his viewpoint particularly engaging or his style particularly interesting. It is entirely a matter of taste. There are three other volumes of earlier columns that I will probably track down one day but I’m not going to rush out to grab them. I have some more exciting books to review soon, ones that I want to do justice to with dedicated posts – an excellent Monica Dickens novel, a lacklustre Persephone, and two fabulous Georgette Heyers among them – but for now I’m headed back to the pool. Work, work, work!